In the past few years detection of repeatable and distinctive keypoints on 3D surfaces has been the focus of intense research activity, due on the one hand to the increasing diffusion of low-cost 3D sensors, on the other to the growing importance of applications such as 3D shape retrieval and 3D object recognition. This work aims at contributing to the maturity of this field by a thorough evaluation of several recent 3D keypoint detectors. A categorization of existing methods in two classes, that allows for highlighting their common traits, is proposed, so as to abstract all algorithms to two general structures. 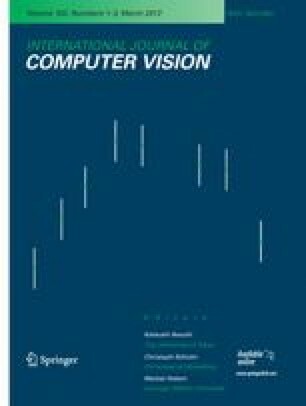 Moreover, a comprehensive experimental evaluation is carried out in terms of repeatability, distinctiveness and computational efficiency, based on a vast data corpus characterized by nuisances such as noise, clutter, occlusions and viewpoint changes. The authors would like to thank Dr. Andrei Zaharescu, Dr. Jian Sun and Dr. Umberto Castellani for sharing the code of their proposals and being always kindly ready to answer our doubts and recall some details that were essential for carrying out this evaluation. The authors would also like to thank Maurizio Galassi, who assisted them in adapting the SP detector to their evaluation framework, Filippo Pulga, who helped providing the C++ implementation of several detectors, and Thomas Ricci, who worked hard to port to C++ the gridfit script.